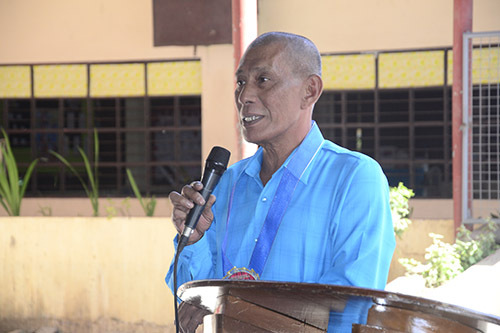 Mr. Ian A. Lahi, Chief Labor Employment Officer of DOLE Region IX- Zamboanga City Field Office, thanked WMSU for supporting the agency’s job search assistance programs. 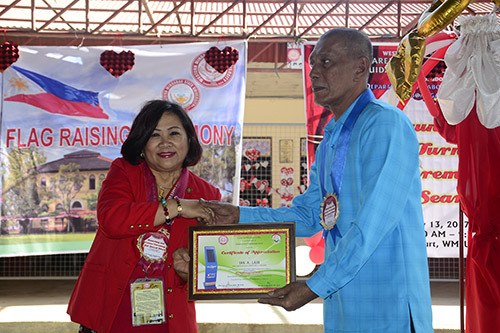 WMSU President Dr. Milabel Enriquez Ho awards Mr. Ian A. Lahi a certificate of appreciation for choosing WMSU as one of the SUCS in Region IX to receive the Job Search Kiosk. True to its support to the university’s mandate of promoting labor market information system to its students and the community, the Department of Labor and Employment (DOLE) has turned over a Job Search Kiosk to the Western Mindanao State University (WMSU) on February 13, 2017 at the WMSU Covered Court. Mr. Ian A. Lahi, Chief Labor Employment Officer of DOLE Region IX- Zamboanga City Field Office, graced the turnover ceremony, together with Dr. Milabel Enriquez Ho, University President; Miss Melva A. Villarta, WMSU Career and Placement Office (CPO) OIC-Director, other WMSU key officials and students. In his speech, Mr. Ian A. Lahi said that “WMSU graduating students and alumni will now find job hunting a lot easier and exciting through this Job Search Kiosk.” “It helps job seekers to fast-track access to relevant information on job openings and the employer’s hiring requirements”, he added. He also thanked WMSU and the Career and Placement Office for supporting DOLE’s various job search assistance programs. WMSU President Dr. Milabel Enriquez Ho acknowledged DOLE for the unyielding support to the university. “This Job Search Kiosk will definitely be a great avenue for our graduating students to access more reliable employment opportunities,” Dr. Ho said. She also recognized the efforts of the University Career and Placement Office under the supervision of its OIC-Director, Miss Melva A. Villarta for working hard in addressing students’ employment-related issues in the university. The Job Search Kiosk is an information portal housed in an ATM-type and designed by DOLE to provide information on local and overseas employment and livelihood opportunities to the public for free. This kiosk also offers information on services of DOLE’s attached agencies such as the Commission on Higher Education (CHED), Technical Education and Skills Development Agency (TESDA), Professional Regulation Commission (PRC), Philippine Overseas Employment Administration (POEA), and Overseas Workers Welfare Administration (OWWA) among others.